This past weekend, I hopped on good ole NJTransit and sped took the local train down to Princeton to attend my 8th college reunion. Why would anyone ever go back for their 8th college reunion you ask? 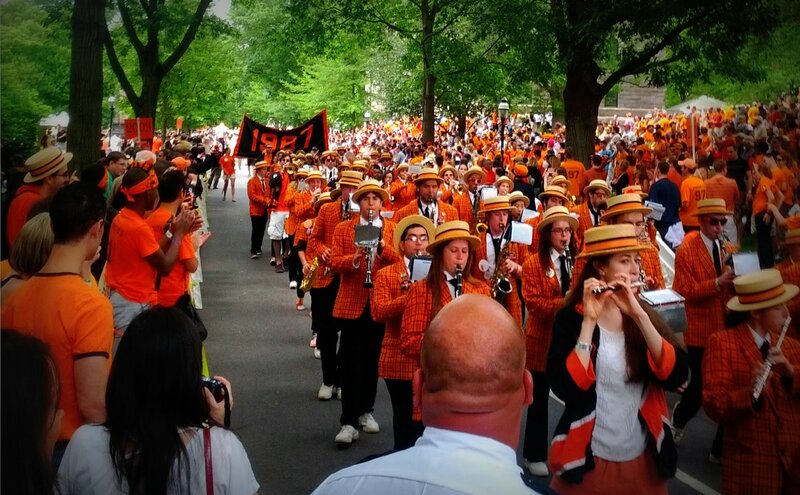 Well, Princeton does things different when it comes to reunions. Very different. Princeton Reunions (known affectionately to those in the know as simply "Reunions") is a weekend-long festival of orange and black that welcomes back over 20,000 alumni and guests each and every year. 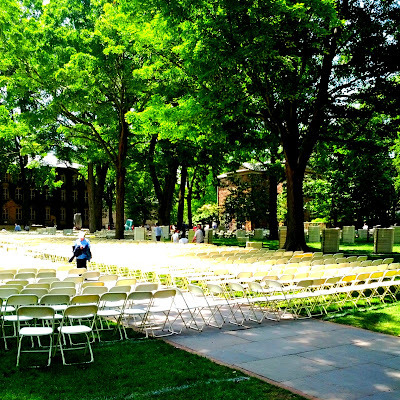 It is widely rumored to be the most well-attended college reunion in the world and one of the largest single orders of beer in the entire country (at least among people who talk about such things). 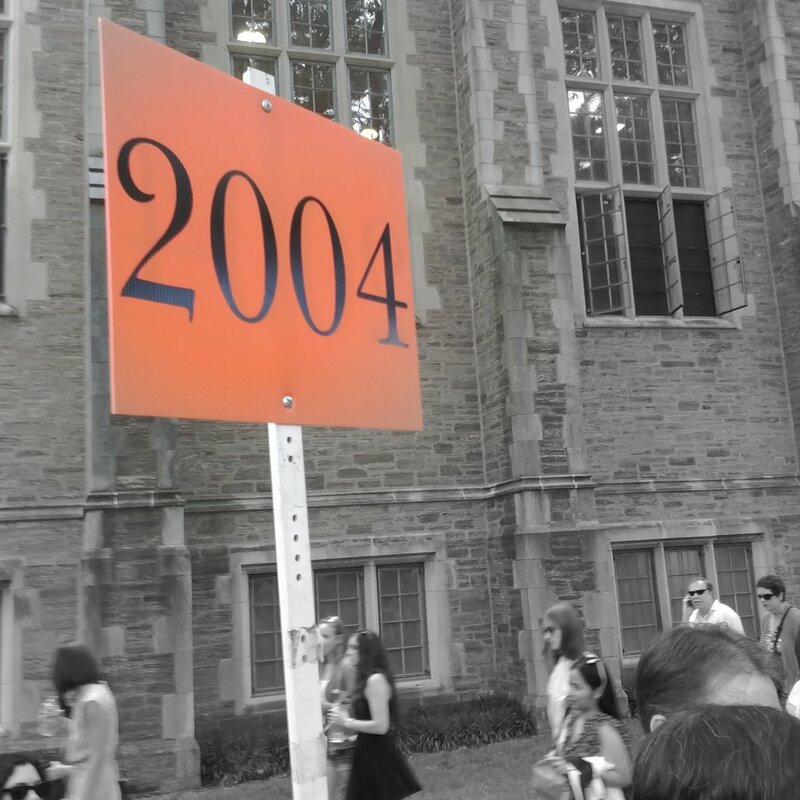 While the best turnout is usually for the "big" years (25th, 50th), Princeton holds a "major" reunion every 5 years (5th, 10th, 15th, etc. ), and there's always strong representation from each of the "off years" in between - especially in the first years out of college. Tents are setup all over campus and serve as the headquarters for each of the majors. As an off year attendee, your class is a "satellite" to the closest major (e.g. the 35th site hosts the 33rd through 37th). The 1st through 6th are hosted at the 5th, which is far and away the largest, and rowdiest party throughout the weekend. Having served on the organizing committee for my 5th, I can attest to the beer rumors mentioned above - the 5th tent alone goes through nearly 400 kegs of beer over the course of the weekend, not to mention wine, champagne, and other adult refreshments. However, when you reach your 7th reunion, it's time to grow up and move along to the 10th - where the scenery still includes a whole lot of beer, but also a whole lot of strollers and kiddie play areas! 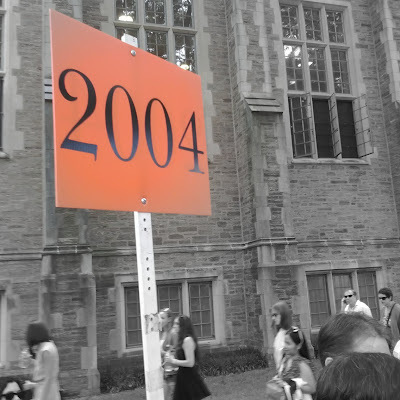 The price of entry to take part in the revelry that is Reunions weekend is a wristband. Starting with the 10th, the "major" year basically funds the party for all the "off years", so for the 2nd year in a row, my wristband was free! Wristbanded-up and ready to go! Wawa is a Native American word for the Canada goose that lives in the Delaware Valley. Wa is a Princeton word for one of the greatest 24-hour food stores on Earth. 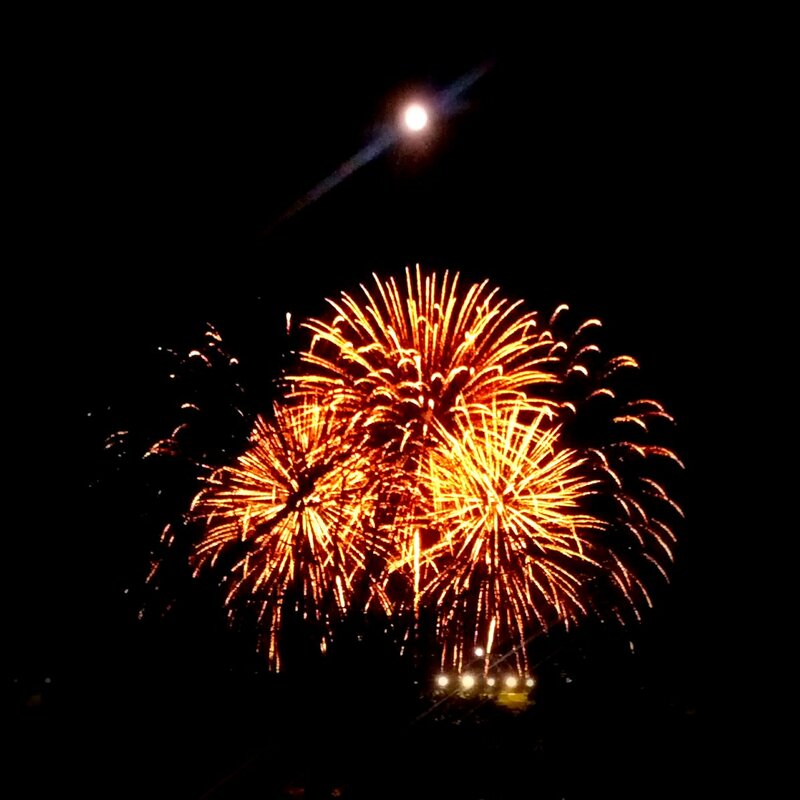 Wow, Wa! are my words for how I feel about both one of the greatest 24-hour food stores on Earth, and the Canada goose. '87 is known for doing things up right when it comes to Reunions. At their 20th, Blues Traveler provided the entertainment (here's a video I took back then), and for their 25th they kicked things up another several notches, bringing in Joan Jett and Bon Jovi to play! 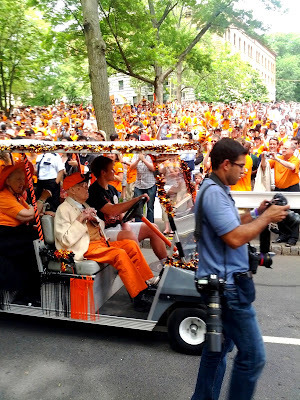 Adding to the star power of the weekend, Brooke Shields '87 was in attendance, marching in the P-rade, and participating in alumni panels as well. Setting the bar high for future classes, to say the least! After the 25th, the remaining class march in chronological order. This year, the oldest returning alumni was from the class of 1925! If you really want your mind warped, back when he marched as a senior, the oldest returning alum was from the 1860s! Malcolm Warnock '25 - 107 years young this month! Each year you move further and further up the hill, as a new graduating class is added to the end of the route. For '04, the march is getting longer and longer - but it's always great fun seeing friends and colleagues from older years pass by, and then passing the younger years when our turn comes. 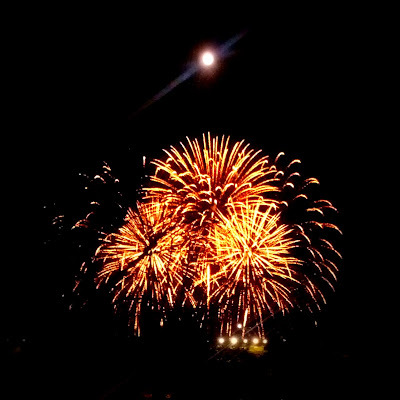 After the fireworks, it was back to the tents! 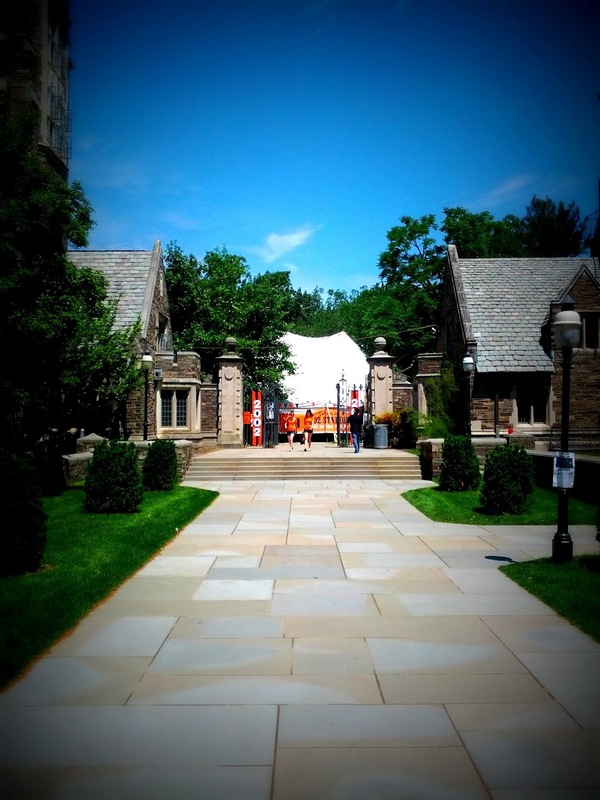 Most people like to hop around to different tents over the course of a night at Reunions. In fact, some of my favorite times over the years have been at tents other than the 5th or the 10th. This year though, the 10th had a 90s cover band that I just couldn't get enough of (showing my age here). The energy was awesome, the crowd was loving it - and they played a LOT of my favorite songs from the mid-late 90s (Weezer, Chili Peppers, Blink 182, The Proclaimers!, Eve 6, etc, etc). The surprise Papa John's delivery of a mountain of cheese pizzas (another staple from my college days) to the 10th tent didn't hurt either! The next day, as has become tradition for a number of my friends, we gathered for a post-Reunions brunch. This year, we went to the Princetonian Diner. It was my first time there, and my order was fine - some sort of egg, sausage, cheese, potatoes, etc. skillet. Others were less enthused. Word to the wise: don't order the "crab meat eggs benedict" at a diner on the side of a highway. 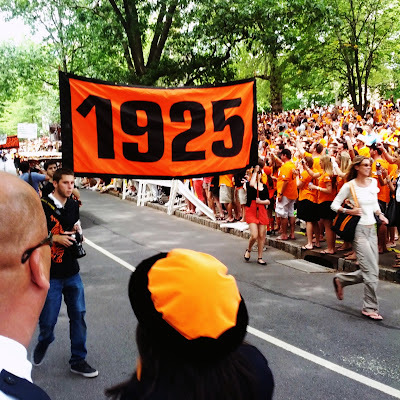 I've never not had an amazing time at Reunions, and I'm already looking forward to Reunions 2013! 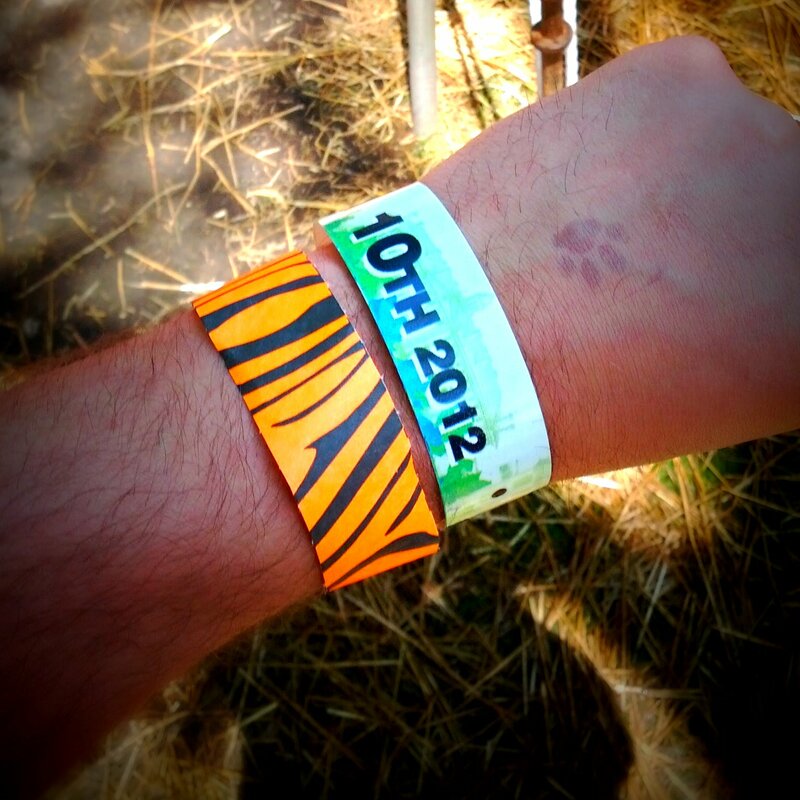 Someone had special access to the tiger stripes wristband! Was that a frequent flyer miles perk? Haha - sadly there are no frequent attendance points for Reunions, I'd be building up quite a stash right now!